Although the name may sound intimidating, genealogy is actually a very approachable hobby for anyone who is interested in family history. Getting started is easy, especially if you understand what you are studying. 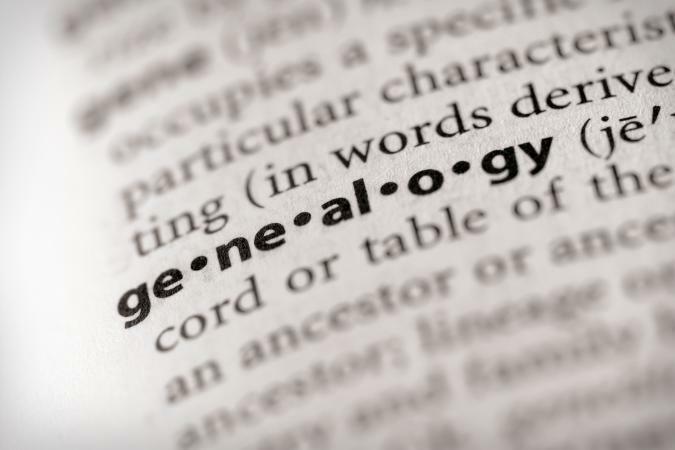 According to YourDictionary, genealogy is "the study or investigation of ancestry and family histories." You can focus on the lineage of a single person, or you can study a family in general. Basically, as you research, you are connecting each generation to the one before it. Genealogy can also refer to a family tree, as in "the genealogy of the Smith family." This is a document that provides a graphical or text-based representation of the connections in a family. It's especially useful when you want to share your research with others. Because genealogy is a broad topic of research, it can help beginners to break it down into smaller components. There are several ways to do this. Using DNA testing combined with established historical research, genetic genealogy gives you insights into the history of your ancestors. It can even solve genealogical mysteries by matching your DNA to other people's family trees. You can find long lost cousins and expand your family tree. Some branches of genealogy focus on family names. Your surname, or last name, can offer clues about the origin of your ancestors. In some cases, you can trace common names like Johnson, Perez, or Brown back hundreds of years using established genealogies. This is interesting in its own right, and it also helps provide background for your family tree. Genealogy also encompasses the study of famous people's family trees. From Laura Ingalls Wilder to Bill Clinton, there are dozens of interesting celebrity family trees to examine. Royal families like the Tudors offer another avenue of research. You can even compare your own family tree to these famous ones to see if you are related. Making a family tree, or printed genealogy, is a great way to communicate your research to others. You can use a template or draw your own, and there are many software programs that can help as well. To get started, you only need to know a few generations, and then you can research to find out more information. You'll find that although genealogy is a broad topic, it's easy to narrow it down when you think about what you'd like to know. If you are interested in finding out about your own ancestors, simply start a family tree project. It's easy!